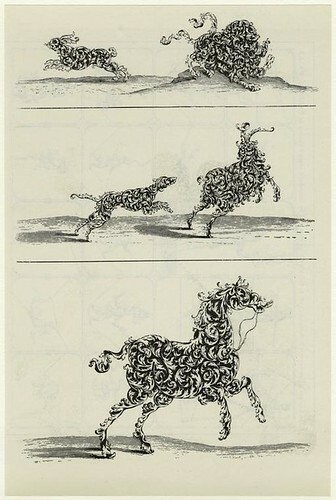 We very much appreciate the two proto-surrealist images of ornamental foliage figures by Wolfgang Hieronymus von Bömmel from about 1660 (published in 1894) you have in your database. 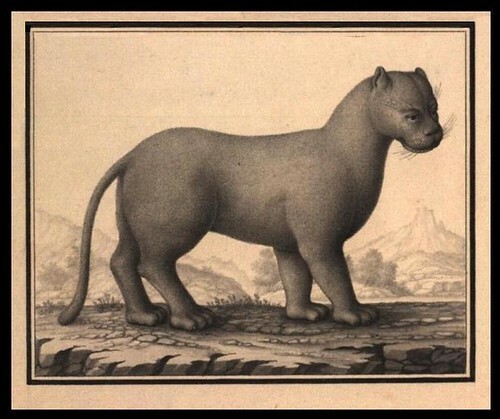 But as there seems to be no other examples of his intriguing work online (nor much in the way of information) we would be grateful if you would put the other thirteen illustrations from this particular folder on your digitisation to-do list. library proper. In other words (and sadly), this is all they've got." Thanks Sophie. Irish-born illustrator John Doyle was known only to 19th century Britain by the initials 'HB', with which he signed his political lithographs. These cartoons were published daily in The Times for more than twenty years. Although Doyle was a more courteous caricaturist than his predecessors, Gilray and Rowlandson, his insightful and terse prose accompaniments were renowned for their ability to skewer his subjects in an equivalent manner. The University of Nottingham Manuscripts & Special Collections have more than eighty of Doyle's cartoons available in their 'Visual Resources - Images from the Archives' section. [I also saved some to this Webshots album] Those two images above were cleaned up quite a bit. Jan Ziarnko's detailed and epic engravings of Old Testament scenes from 1620 ('Ilustracja do Ksiegi Kaplanskiej') are from the Polish Digital Library . I've also saved a stash in this Webshots album. The map (and the few images above it) were found while scavenging through the back catalogues at PBA galleries. Below the map is a mashup of Nestorian costumes from an 1843 book, 'Residence of eight years in Persia, among the Nestorian Christians' by Justin Perkins, halfway down the page at the Philadelphia Rare Books site. I nabbed these two engravings of Roman statues from the 1585 'Antiquarum Statuarum Urbis Romae' by Giovanni de Cavalieri, newly uploaded by the University of Heidelberg [Vol I; Vol II]. "a collection of engravings of Rome and Roman antiquities, the core of which consists of prints published by Antonio Lafreri and gathered under a title page he printed in the mid-1570's. 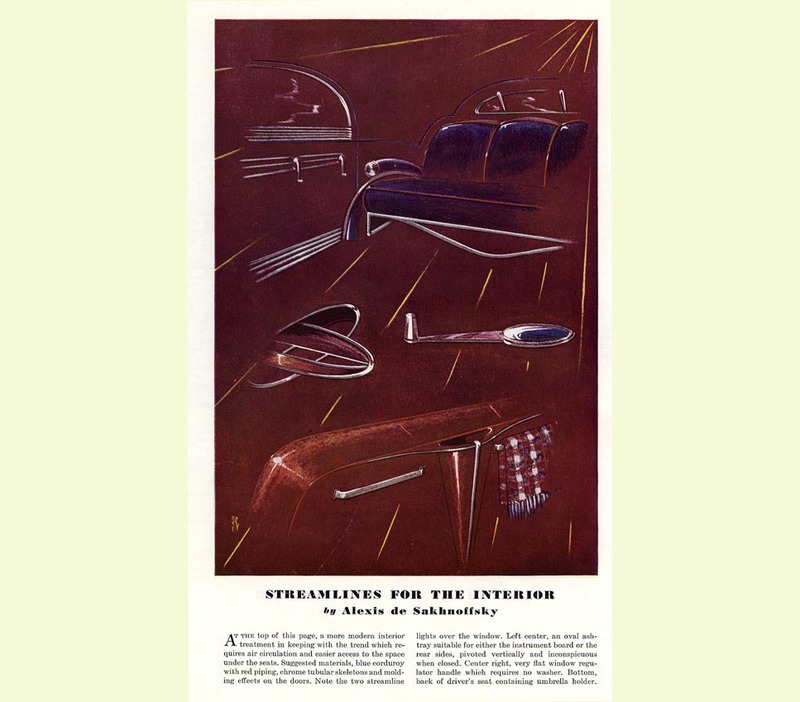 Copies of the Speculum vary greatly in the number of prints, and individual prints were reissued and changed over time. The University of Chicago Library's copy of the Speculum Romanae Magnificentiae contains nearly 1,000 prints and is the largest in the world." 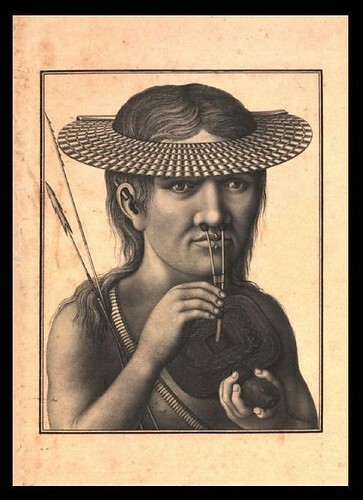 This is the allegorical frontispiece, referencing the Greek mythological character, Icarus, from an otherwise unremarkable (in the visual sense) book by Johann Michael Dilherr. 'Icarus Academicus' - seems to be a theology/philosophy text from 1643, at HAB Wolfenbüttel. 'Döllingerjada : Poemat Bohaterski' - a very short poetry book by Wladyslaw Ludwik Anczyc, from some time during the 19th century at Digital Poland. Are they syringes? Fire extinguishers? Pest sprayers?? These technical drawings of a gyroscope and (?) come from the renowned Léon Foucault, who proved that the earth rotates with the invention of his eponymous pendulum. 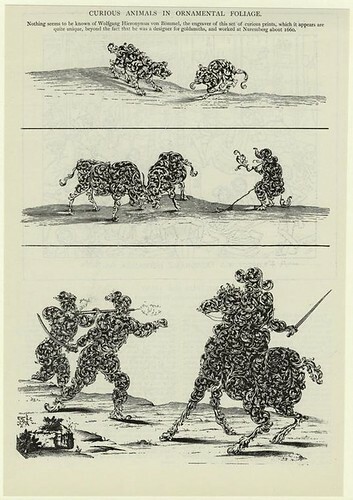 These are but two of the many drawings in his collected works, published in 1878, ten years after his death, from what may have been the effects of multiple sclerosis. Both volumes of 'Recueil des travaux scientifiques' are available from the University of Strasbourg. 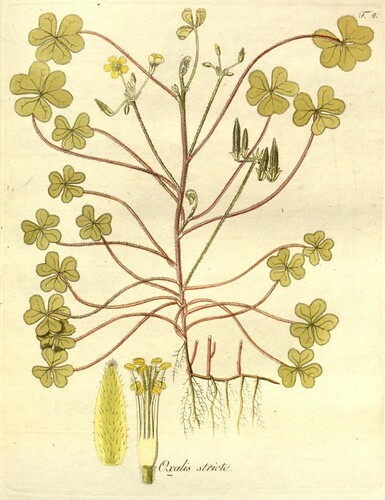 The 900+ species of the Oxalis genus (many known as wood sorrel) that range in quality from ornamental clover-like garden plants to invasive pernicious weeds in non-native locations, can have no greater testament to their visual attraction than the eighty or so meticulously prepared plates found in a 1794 treatise by Nicolao Josepho Jacquin. 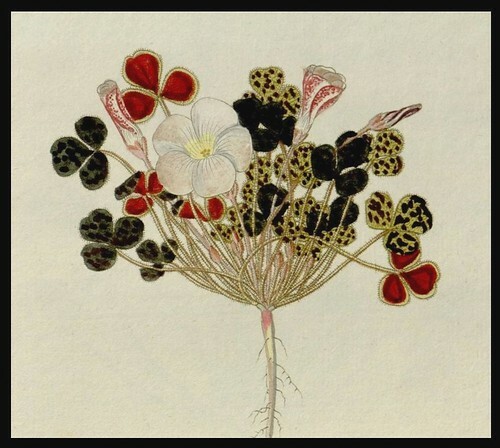 'Monographia iconibus illustrata' is available from the Missouri Botanical Gardens. The top image was spliced from screencaps. Incidentally, I am reliably informed that the Botanicus website is getting a newer, larger download pipe in the next couple of months and high resolution jpeg images will soon become available. Yay. 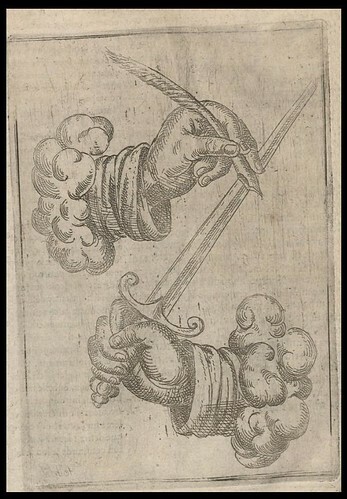 Riffing on the pen is mightier than the sword theme, this illustration is not representative of the majority of the defense/machine/warring arts engravings to be found within the 1603 manual, 'Artifices Defeu, et Diuers Instruments de Guerre'. The book is by the military engineer, Joseph Boillot, whose elaborate/outrageous plinth designs were featured previously: Architectural Zoology. A few more pics of the brewery truck near the top of the page. The top quad-picture comes from a series that translated, probably inaccurately, as 'Taburin. Parties'. 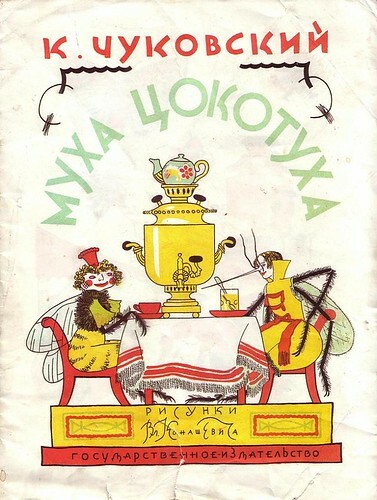 (I'm sure I've seen similar styles in a couple of other languages) The book cover underneath is from a Korney Chukovsky fairy tale called Mukha-Tsokotukha (The Buzzing Fly) with illustrations by Vladimir Konashevich (earlyish 20th century). Thanks to Aeron from Monsterbrains for passing on a link to eighteen pages of interesting book, print and photo galleries belonging to Babs71. Brazilian naturalist, Alexandre Rodrigues Ferreira, (1756-1815) obtained his doctorate in natural history in Portugal and was commissioned by the Queen to explore the interior of his homeland. He spent nine years collecting and cataloguing specimens and travelling through the largely unexplored west and north of Brazil. 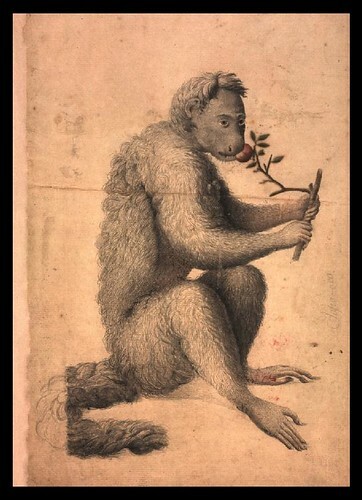 The National Library of Brazil have a rather excellent and extensive collection of his (and accompanying illustrators) drawings (fauna and flora) in a website assembled to mark the 250th anniversary of his birth last year. Click everywhere (including the bird icon on the front page). All the above images are spliced together from screencaps. The cat(?!?!) started out life as a portrait and transformed into a landscape image, but what is it?! 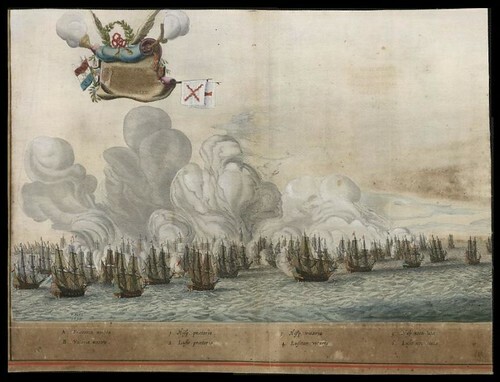 "When the Dutch West India Company removed its governor of Brazil, Maurice de Nassau, Nassau retaliated by underwriting the production of this magnificent illustrated book on the history of his administration. Nassau commissioned the Dutch scholar Caspar de Baerle (1584-1648) to write the narrative, and the printer and engraver Johannes Blaeu to produce the maps and illustrations. 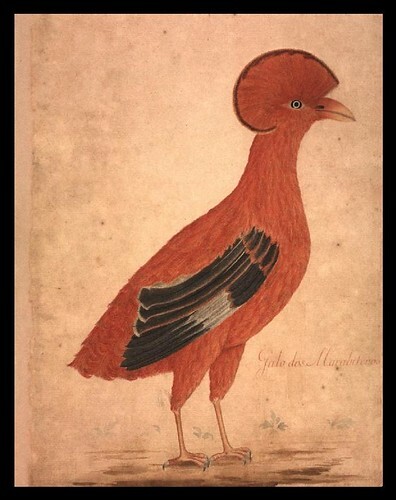 Many of the images were based on paintings done by Frans Post, one of a group of artists and scientists recruited by Nassau to work in Brazil in expectation that their efforts would attract wider European interest in the colony. 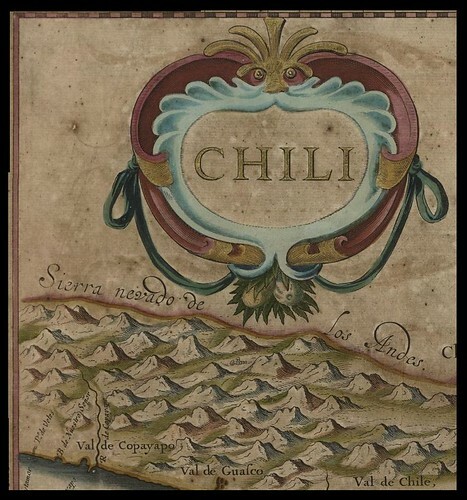 This is an exceptionally important book both for its beautiful views of Brazil and for its critical documentation of life in Brazil in the seventeenth century." 'Rerum per Octennium in Brasilia' (History of Deeds Done in Eight Years in Brazil) is online at the National Library of Brazil. 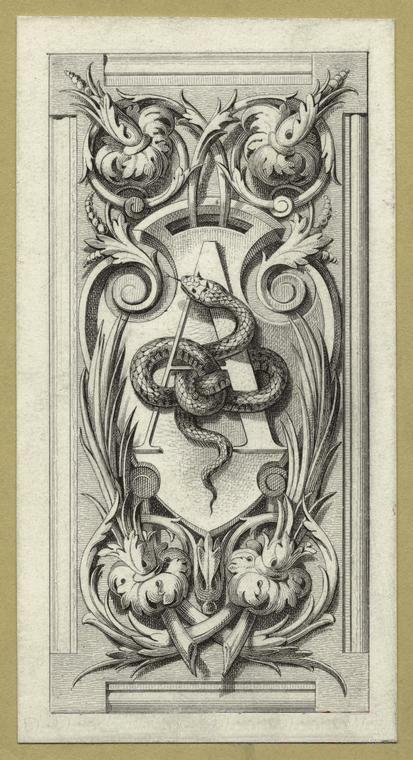 Fifty Nine illustrations at Atlas Mutual Heritage. The above are all spliced screencaps. 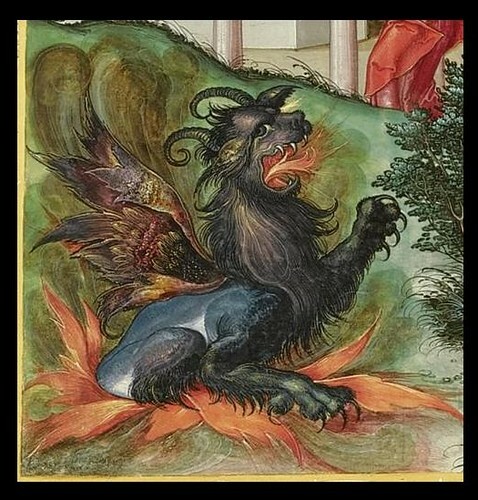 The third image is a small detail from one of the maps. The Stone book mystery - Newcastle Library, NSW. 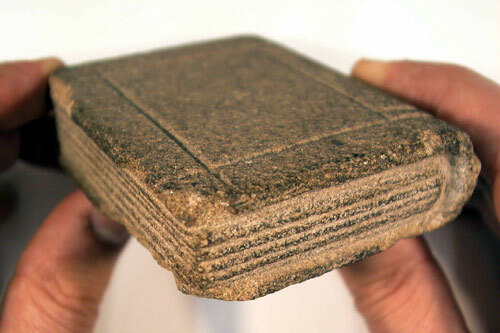 Of a similar nature, but off on a tangent - the amazing stone book sculptures of Wolfgang and Anna Kubach-Wilmsen (note, there's more than that first page). My notes say: 'Das ist der Passion' Geiler von Kaysersberg, Johannes. Mennel, Jakob. 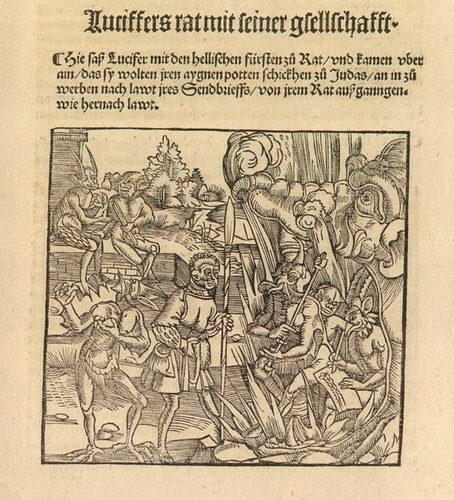 Adelphus, Johannes 1516 mdz10.bib-bvb.de I recall thinking it was the Passion of the Christ but I can't seem to turn the book up in searches through the Bavarian State Library. This was definitely the most interesting illustration I saw in there anyway. 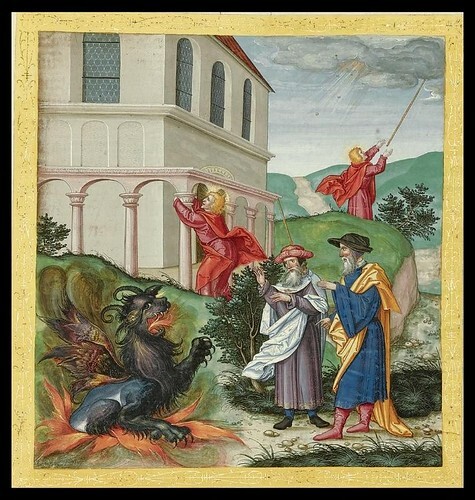 These images come from Ottheinrich's Bible - the first illuminated manuscript of the New Testament in Germany (written in 1425-1430 illuminated in 1530-1532). This work is coming up for auction at Sotheby's in early December and is expected to fetch over £2,000,000. 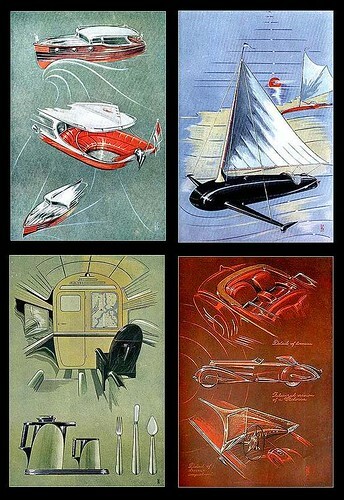 I can't link to the catalogue site where these (spliced) pictures were obtained - it's a subscription (free) thing. This pdf file has a few more illustrations and all the background information. See also Faksimile Verlag in Switzerland who sell an extravagant facsimile edition (I didn't look but presume it is some, if not many, thousands of dollars). Leaving aside the incredible cost and opulence of that particular manuscript, have you ever wondered how much it cost in medieval times to produce an illuminated manuscript? My rough guess when I looked the other day was about the equivalent of the cost of three horses. Jean-Luc at Pecia gives an account from the writings of 14th century lawyer Henry Bohic. Additional help: this and this pdf. Parts of this are in french but it makes vague to fair sense when you scan through it all. Neil Philip's Adventures in the Print Trade weblog. Literary Stamps from the maestro at Bibliophile Bullpen . The CopyrightExpired stash of old images is particularly good for dinosaur illustrations. Madame Martin, the French Metafilter. Have I mentioned NYPLabs before? It's a behind the scenes look at the development of a major digital library. I wish every library did this. The code to rig up the randomising widgets for weblogs and images (finally!) in the sidebar was adapted from here and here. Thank you! 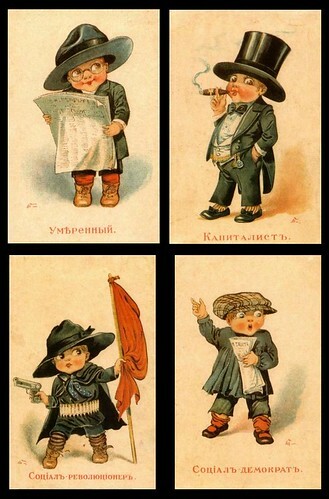 I am sure that Ziarnko's illustrations are included in some famous Jewish books. I posted something at my blog asking for any specifics. Peacay, yet again, amazing stuff. Thank you so much for such an inspiring blog. I'm happy to link you on musecrack. I look forward to every post. Peacay- the Nestorians extended further east early on. The Nestorian Stele is silk road evidence of them getting as far as China - they also were present on the Indian subcontinent. A tie to the Prester John legend? I guess some think so. Aside - ordered the book y'stday from Amazon - the local mid-sized chain gave me a big 'duh' when I tried to order through them (to heck w/ 'em). all the best frm the 40Fakes! Thanks so much for linking me. It's a particularly flattering referral coming from you. I mean it. Now that people actually read my blog I'm going to have to work a lot harder on the copyediting. But its worth it - really. Menachem, I have no idea but 'Jewish' was my initial thought in relation to that first image. I thought the engraving quality in the book was excellent much of the time (which would suggest that the artist would be in some demand and make it more likely that his work had ended up in other books) and so-so some of the time - perhaps there were 2 or more engravers? Thanks Dr Hypercube, that's quite fascinating. I was just trying for the central/historical location - the diaspora from early times actually meant that I could have included Russia, Armenia, Azerbaijan and a few other places. But I hadn't noticed China in my forays around the web. In relation to the pen is mightier than the sword image from Joseph Boillot's armaments treatise, "Artifices de feu", I've had some offline discussion with George Goodall who has made some excellent contributions in relation to many of the combat posts that have been made here in the past (he's just writing up his PhD thesis on technology and machine manuals of the Renaissance) and he's kindly allowing me to post in a few paragraphs, taken from 2 emails he sent. The book itself is pretty interesting. It's clearly derivative of other works, notably Ramelli's "Diverse et artificiose machines", but the overall production quality is relatively poor. Boillot seems to have cut his own plates and his overall knowledge of perspective is a bit dodgy. The book is notable for another reason. Earlier works on machines were either similar to emblem books--distinct images accompanied by a small amount of text--or were didactic with a great deal of text and illustrative images e.g., Agricol's "De re metallica" or the early work on architecture by Serlio, Palladio, etc. Boillot's work seems to be a kind of hybrid or transition between the two forms. Some of his plates even indicate that he was aware of some early scientific work such as Tartaglia's work on ballistics. Even the content of "Artifices de feu" has some quircky characteristics. The book obviously served as a kind of marketing tool since it advertises the author's prowess in a number of in-demand fields e.g., cannon production. But it also includes a section on fireworks, a novel treat for a royal court obsessed with self-congratulatory celebrations! The one plate that I found quite fascinating depicts a monk making gun powder with some sort of demon (Mephistopheles?) sitting on his shoulder. I can only imagine how it was interpreted by the readers of the day. I've also come across some additional information on Boillot, or rather non-information. Many writers have described him as an engineer but he doesn't actually seem to have ever officially served as either an "ingenier du roi" or "controlleur" for Henry IV. Instead, the engineering needs of Langres--Boillot's home turf--were met by a variety of other characters, notably Jean Errard (who we've discussed before) and Claude Chastillon. It wasn't uncommon for publishers to release editions of earlier works and refer to the authors as engineers, even if they weren't. One of the most famous engineers of the king of the late sixteenth century was Jacques Besson. Unfortunately, his position was a complete fabrication of François Béroalde de Verville who published the second edition of Besson's book! First of all, let me tell you how much I appreciate BlibliOdyssey. Amazing stuff! 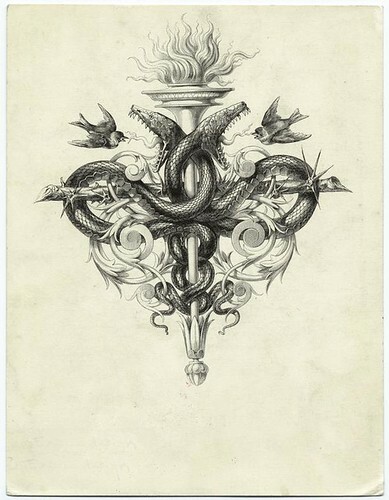 Searching for images of Portuguese origin I found the allegorical print dedicated to Portuguese constitution. I was very much surprise about the 1755 earthquake impact on Brazil independence! The fact is that Portuguese Royal Family was forced to depart to Brazil (1807) to avoid the French invasion. They stayed in Brazil for a long time and they were forced to came back to Lisbon in 1820, after the liberal revolution that lead to the 1822 constitution. by that time Brazil had all the conditions to become independent. The presence of royal family (and 15 000 people more) was the key to Brazilian early independence. The oldest son of João VI, King of Portugal, was the first imperator of Brazil (Pedro I). Thanks hkt. 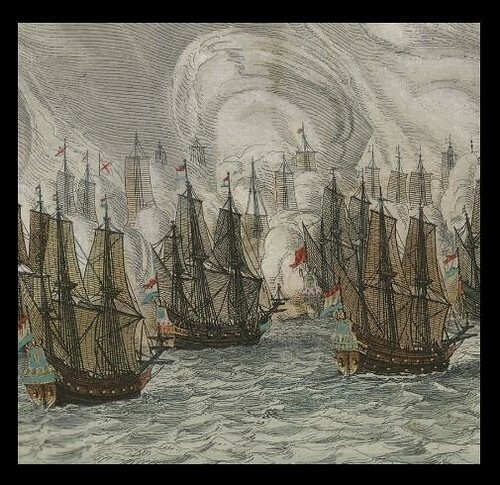 It wasn't my intention to suggest that there was any direct effect from the earthquake; merely that it was a significant event in the background affecting Portuguese 'power' in a general sense. I suppose the suggestion was that, even if there had been a desire by the Portuguese to retain Brazil, the earthquake had been 'one' thing that made any huge, decisive action that much less possible or likely. I have written about this before, by the way, but absolutely would not say I am "well read" in the subject.